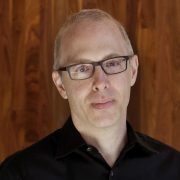 Dan Goldstein is Principal Researcher and the local leader at Microsoft Research’s New York City lab. Dan works at the intersection of behavioral economics and computer science. Prior to joining Microsoft, Dan was a Principal Research Scientist at Yahoo Research and a marketing professor at London Business School. He received his Ph.D. at The University of Chicago and has taught or researched at Wharton, Columbia, Harvard, Stanford and Max Planck Institute in Germany, where he was awarded the Otto Hahn Medal in 1997. His academic writings have appeared in journals from Science to Psychological Review. Dan is a member of the Academic Advisory Board of the UK’s Behavioral Insights Team (aka Britain’s “nudge unit”) and is formerly President of the Society for Judgment and Decision Making.